A revolutionary book when first published in 1984, You Can Conquer Cancer has sold more than 250,000 copies worldwide and its earlier editions have been translated into numerous languages including German, Dutch, Russian, Swedish, Thai, Korean and Hebrew. A must-read classic on the topic of cancer it has become one of the most widely read books on the subject emphasising the importance of nutrition, the power of the mind, meditation, family, social support and the spiritual dimension of life. This new edition contains important additional material, as well as whole new sections of updated information. The book highlights the difference between "positive thinking" and "wishful thinking", shares stories of remarkable survivors of cancer along with an extensive chapter on the theme of "good death" and dedicates whole chapters to the subject of nutrition, explaining how it can affect - for the better - entire families. 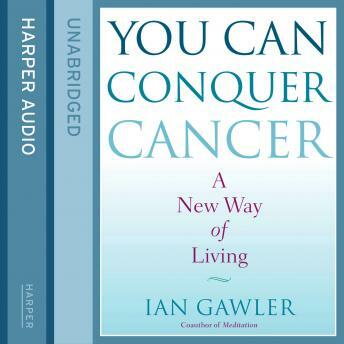 Remarkable for it's clarity and conciseness, this new edition of You Can Conquer Cancer enlarges upon what is a truly integrated, holistic approach to cancer.